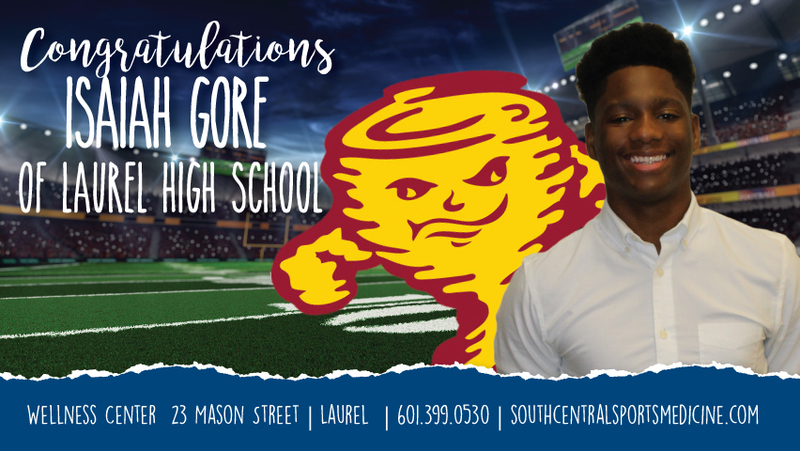 Isaiah Gore, Senior at Laurel High School, was selected as a South Central Sports Medicine Scholar Athlete. Isaiah plays soccer at Laurel. His future plans are to attend Belhaven University and Ole Miss to get a degree in mathematics and mechanical engineering. South Central Sports Medicine presents the 2018-19 Class of Scholar Athletes. Senior Athletes were selected by Athletic Directors of their respective schools. Athletes were selected based on their leadership on and off the playing field, their attitude of sportsmanship and grade point average. South Central Sports Medicine congratulates each athlete for their dedication to their sport and their school.